To realize a sustainable society, Sumitomo Electric Hardmetal Corp. has been promoting a variety of environmental activities including certification of ISO14001 as well as subsidiaries&apos;, control of chemical substances, energy saving, recycling, and creation of environment-conscious products. We have been working on collection and regeneration of used products in order to promote recycling of such scarce resources as tungsten. Sumitomo Electric Hardmetal Corp. has completely abolished materials or processes of all products designated as hazardous heavy metals including lead, mercury, hexavalent chromium, and cadmium, whose use is restricted by Europe&apos;s RoHS/ELV directives. In addition, such hazardous organic compounds as PBB, PBDE, PFOS, PFOA, trichloroethylene, and dichloromethane are not used in all processes. 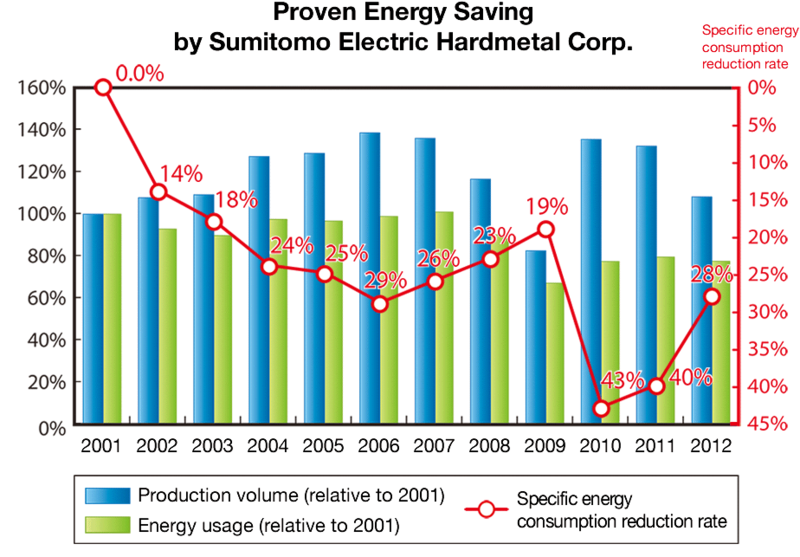 To take measures against global warming, Sumitomo Electric Hardmetal Corp. has been engaged in reduction of CO2 emissions by energy saving activities, successfully resulting in a significant reduction of an energy unit. 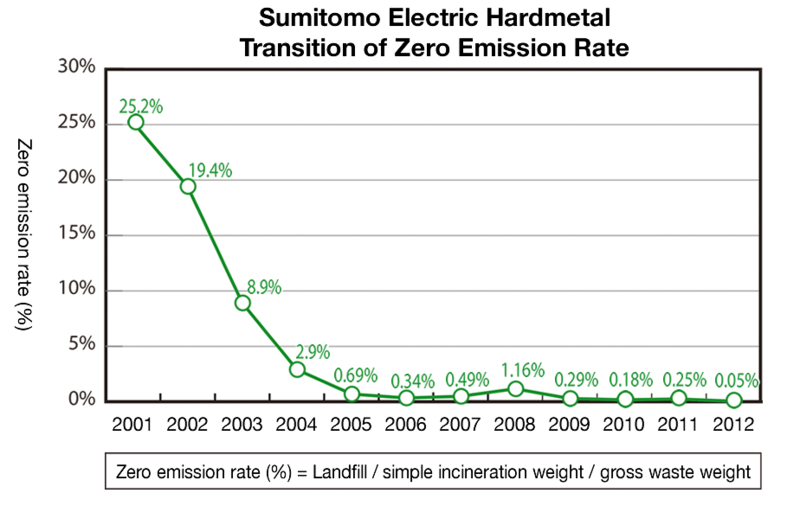 Sumitomo Electric Hardmetal Corp. started zero emission activities since 2001. In 2005, we reached an annual zero emission lower than the target value of 1%, and we are still on the way of seeking for a sustained and improved rate while striving for further renovation of the activity.